A branch of the Chinatown mini-chain of Taiwanese tea houses. No one eats out in Chinatown for a masterclass in deferential service. 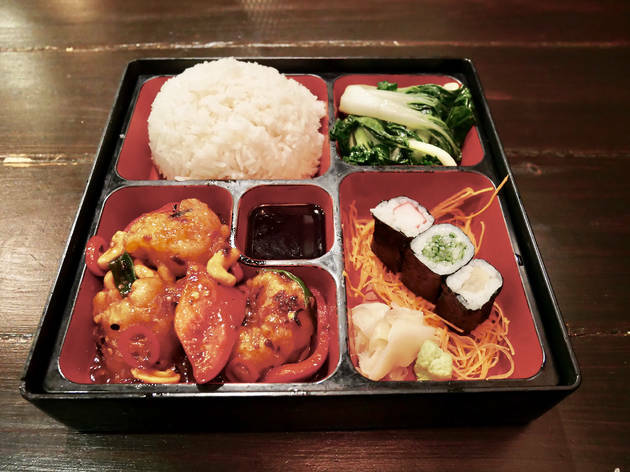 So it’s no surprise that, at this Taiwanese restaurant’s condensing of its previous two sites into one compact Gerrard Street location, waiting staff vary between disinterested and slightly grumpy. Ambience-wise, it’s business as usual: dark wood everywhere, minimal comfort, speedy service aimed at rapid turnover. But the biggest change here is the food: rather than a heavy reliance on strictly Taiwanese cuisine, there’s now a sushi bar, a hotpot table with a built-in heater (that lets diners eat unlimited broth-boiled ingredients for £19.95 per person) and a menu segment devoted to ‘Poeken’ – a fusion of the Japanese rice dish donburi and poke, a Hawaiian raw fish salad. Confusing? More than a bit. But stick to the starred dishes (mostly regional Chinese or Taiwanese) and you’ll struggle to go wrong. 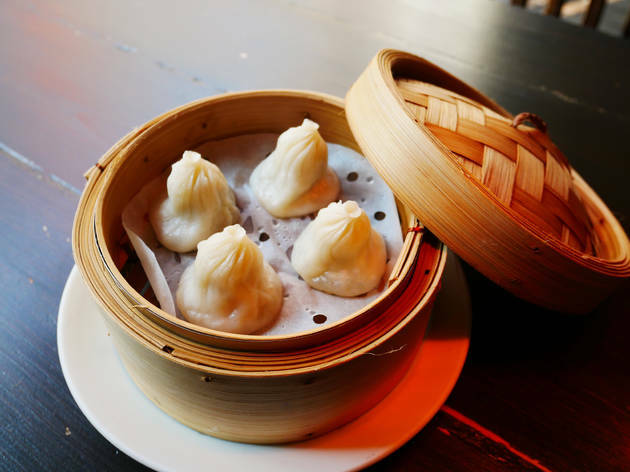 The signature xiao long bao – squidgy broth-filled dumplings from Shanghai – are dinky little morsels of supreme comfort food. Unbelievably unctuous hunks of slow-braised pork belly come in what’s described as a ‘soya sauce’, but is actually a gravy so rich that Donald Trump would be jealous of it. An intensely savoury and beautifully oily dish of ‘dry-wok stir-fried cabbage’ also came packed with mottled chillis. However, a word of warning to veggies: it was also £9.50, a bit overpriced given the small portion size, which seems to be the case for all dishes featuring fresh veg. Leong’s may not be fine dining, but if you’re after non-veggie stodge that’s a bit different to Cantonese fare, it’s still a good option. 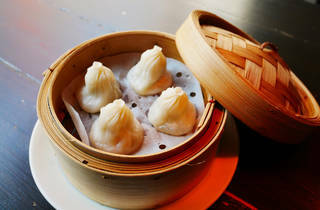 If you are craving for xiao long bao in London, you can come here and have their pork or crab baos. We had pork belly stew, three cup chicken, xiao long bao and bread sticks (you tiao). It was plenty of food for 2 people. The menu was extensive so I will go back and try other things for sure. Also you can get a chirashi/poke bowl inside too. This chinese restaurant based on the tea house where warriors and alike left their weapons at the door, and with images of the ancient heros on the wall 'anyone remembers Monkey TV series?' we went for the dim sum and wow, they have a lot and apparently each different shape dictates what ingredients!